In 2001 a sudden disappearance of a large population of blue jays due to the West Nile Virus caused serious concerns for Alachua County entomologists. Florida’s infamous skin-diving insects, a vector for WNV, know just when hurricane season is about to roll around. This year, some of them pose a similar threat by spreading diseases among animals and humans in Florida. The FDOH detected traces of Eastern Equine Encephalitis (EEEV) and the West Nile virus (WNV) in Alachua County in late July. 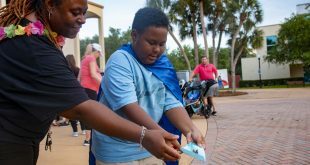 Only two human cases of the diseases, one of each, have been reported in Florida earlier this year. One case of the EEEV infection occurred in May followed by a WNV blood-positive donor case in June. 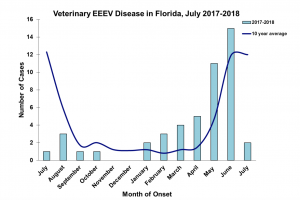 June also did yield the highest number of veterinary cases (15) for EEEV in 2018, and data for July has not been finalized yet. 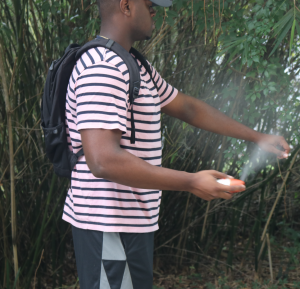 Anthony Dennis, Environmental Health Director of the FDOH, said that mosquitoes can become a serious risk to residents’ health if not treated properly. According to an annual Bug Barometer forecast conducted by the National Pest Management Association, mosquito activity was expected to rise throughout the summer because of an increase in residual moisture in the Southeast. Combined with Alachua County’s high amount of average rainfall, it’s no surprise that the swamp is one of many homes that mosquitoes prefer. The FDOH uses various animals to conduct their mosquito surveillance. Chickens, horses, crows and other types of birds are frequently blood-sampled to test for mosquito-borne diseases in the area. While they’re bitten by mosquitoes the same as humans, some of the chickens that the FDOH has collected are immune to certain mosquito-borne illnesses like WNV and EEEV. The chickens also help the department acquire useful antibodies for combatting the mosquito-borne diseases. 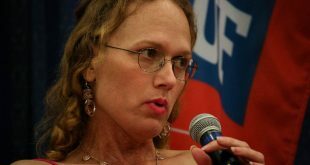 Dr. Cynthia Lord, an associate professor of entomology at UF, is working on understanding the transmission patterns of diseases and their vectors. One of her major research projects deals with the epidemiology of WNV in Florida. Lord explained how these mosquito-borne viruses are different from the 2016 Zika epidemic. 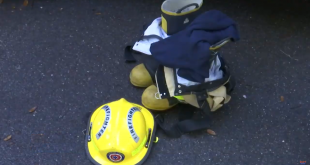 The FDOH and Alachua County remind their residents to drain water from garbage cans, discard old tires and to maintain the water balance of their pools in order to stop the spread of mosquito-borne diseases. These safety measures help slow down the reproductive process for mosquitoes, as they are breeding in still water. Edgar is a reporter for WUFT News who can be reached by calling 352-392-6397 or emailing news@wuft.org.